As a spinal cord injury patient, the thought of resuming your normal life may seem daunting, and for some a complete impossibility. In isolation you may feel dismayed at what the future may hold, but there is life after spinal cord injury, and one which can be lived fully and happily. It may feel hard, but it’s important to surround yourself with positivity and take inspiration from others who have overcome the challenges of SCI. We spoke to Christa, who is an incomplete C4/C5, about her condition, initial fears, and how she has resumed a happy life. There is no denying that adjusting to life with a spinal cord injury is a difficult process, with many frustrations and challenges along the way. After living with the condition for over 20 years Christa said, “It takes a lot of hard work, and requires a lot of supportive people, clinicians, family, friends, and sometimes complete strangers, and learning to refocus your life and ask for help”. But with time and perseverance, there is much that you will still be able to do and even some things that you may get involved in that you wouldn't have thought of before your injury. The first and most important thing to say is to give yourself time. It takes a while to adjust to life with a spinal cord injury — for you, your family, and your friends. How long this may take is different for everyone and some days you will feel much more at ease with things, whilst on other days you may find yourself highly frustrated: this is very normal. Over time, once alien ways of doing things will become routine, a process which Christa went through herself: “For me I can’t say there were too many light bulb moments, it was a gradual dawning, a gradual realisation as I built up my skills”. This approach will ensure that you live a fulfilled and comfortable life, whilst learning the skills you need independently along the way. Finding someone to talk to about how you are feeling is important, this could be your partner or you may find it easier to talk to someone who is not quite so closely involved, such as a good friend or other family member. In practice you will probably find that you talk to different people about different issues:talking things through and developing your support networks early will make things easier for you. 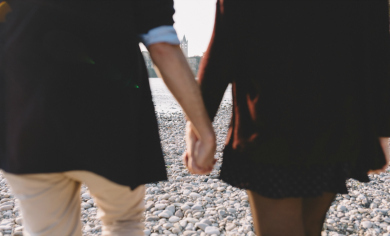 Don't forget that your partner will also be coming to terms with your injury and what this means for you both, so they will also need someone to talk to. Some couples are able to support each other through this difficult time, others just find they are better working through some things separately. Either way is fine, so long as it works for you both. Adjusting to SCI is like any other challenge in a relationship, one which should be worked on together to make the relationship stronger. “I was still able to support my husband’s overseas career, and have a great relationship with him now”, said Christa of how her injury affected her marriage. As a parent, one of your biggest fears may be how you are going to resume family life. For Christa, returning to her family was a priority. “I had 2 young children at the time and I was really wondering how I was going to be a participating mother in their lives”, she said. You may not always feel able to give them much reassurance and may be afraid that you can't do the things you used to with them anymore. Again these are very normal fears and if you can find other women in a similar situation to yourself, this can be very helpful (for example a support group or similar — your spinal injury team may be able to point you in the right direction). Most people find that whilst there may be some things they used to do with their children that they can no longer do, there is still a lot that you can do, as well as new things, too. Remember that children are very resilient and will be just as happy being involved in helping you get around, or sitting doing some baking with you in the kitchen, or just snuggled up together reading stories or watching TV. So long as they feel loved they will quickly adapt to the changes your injury brings. Christa returned to her family after one year of rehabilitation and got to see her children grow into the happy and healthy adults they are today. Establishing a routine for you and your family will help you all. A lot of people with a spinal cord injury are keen to get back to work and this is beneficial in a number of ways; helping to rebuild your selfesteem as well as establishing familiar routines. Additionally, do not be afraid to employ additional childcare if necessary. For Christa, enlisting a trusted a au pair to assist with everyday chores and tasks that come with having young children was helpful, but must also be considered in terms of the effect this may have on your family dynamic. Consider what adjustments will need to be made in your working environment such as making the office wheelchair friendly, or ensuring the toilets are suitable and convenient for you to catheterise in. Your employer may also be able to offer you more flexible working hours or opportunities to work from home. Ensure that your occupational therapist will be able to help you liaise with your employer to fix things so that you are able to get back to work given time. Many people with spinal cord injuries were involved in sports they enjoyed before their injury. Taking these up again afterwards can sometimes work very well, for example horse riding with a spinal injury is very possible. Our first interviewee, Christa, has a passion for exercise, visiting a pool for hydrotherapy, her local gym for assisted exercise, and previously taking private pilates classes. There are many different things that people with spinal cord injuries can get involved in from scuba diving to skydiving, so look for opportunities to try something different—open new doors, rather than focusing on doors that may have closed. Being able to take up activities you enjoyed before your injury or to trying something new can also be a great way of building your self confidence back up and rebuilding social networks. Exercise should be part of everyone's lifestyle and many people find it difficult to get enough exercise even without a spinal cord injury. Exercise is particularly beneficial for you now as it can help you reduce the risk of potential complications such as osteoporosis, diabetes, cardiovascular disease and high blood pressure. Before starting any exercise you must of course make sure it is right for you and it is helpful to talk through your plans with your physio or GP. Make sure you plan ahead such as catheterising beforehand to empty your bladder fully. You might find that you need more help than you would have done before, at least at first. See this as a bonus, it can be a great way of doing things together with your partner, family or friends. For more advice and personal stories, visit our expert hub or get in contact with one of our Bard nurses.